The Beauty Buff Blog: The Beauty Buff's Lip Balm Hall of Fame! For me having dry lips is like having chapped, moisture-hungry hands; not to be over dramatic, but it's excruciatingly uncomfortable. I need soft, happy lips at all times. I've tried a lot of balms in my day and some work wonders while others make my lips feel even more dry. How is that even possible? Here's a collection of my favorite lip treatments. The balms I swear by, can't live without and am borderline addicted to. They each provide a unique texture, scent, and feeling on the lips and all work mini-miracles. Check out my top Beauty Buff-approved beauty balms to silken even the roughest lips in the business. 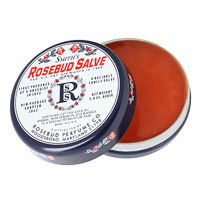 Rosebud Lip Salve-This perennial favorite can be seen tossed in the handbags of most young ladies and with good reason. This old school salve satiates even the driest lips and makes your pucker feel glossed and smooth for hours. It not only gives your pout a healthy flush but it also relieves dry skin, rough cuticles and hands in desperate need of moisture. 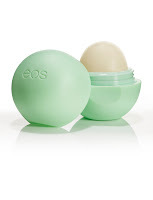 EOS (Evolution of Smooth)-This futuristic looking balm is more than just aesthetically appealing. The geometric shape actually helps when applying the sweet mint flavor on your lips. The roundness of the solid balm and firm grip of the container smooths effortlessly over the lips. The wallet-friendly lip treatment is also eco-friendly and ridiculously relieving on the lips. It's one of my most fav. new beauty finds. 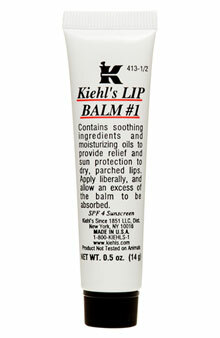 Kiehl's Lip Balm #1 is a soothing potent petroleum skin protectant with a dash of SPF. This no-nonsense balm is perfect for dry weather when skin is cracked and chapped but also perfect to apply all year long. It coats the lips with a thick cooling solution that tingles the skin and keeps moisturizing all day so you don't have to think about reapplying for hours. Plus it's very dude-friendly-no frilly smells here! Julie Hewett Camellia Lip Balm is a delicate blend of mostly organic ingredients including essential oils like rose, camellia and orange. Camellia Oil is closest to our own natural oils which makes it absorb quickly and refresh the skin in a unique way. The addictive balm comes in a easy to use pot or lipstick application and is heavenly on the lips. Fresh Sugar Lip Treatment SPF 15 is made with reparative oils, waxes and real sugar for a sweet taste and cushiony texture. The SPF provides important protection against damaging UV rays but the balm isn't sticky and gently exfoliates as it softens. Overall a fantastic treatment option. Labello Lip Balms-I first tried Labello when I was on vacation in Italy five years ago. 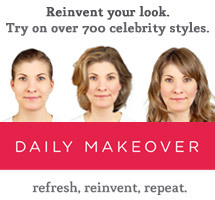 Their lip products are very much a European mainstream staple. I've been OBSESSED with the brand ever since and can't get enough of the balms that have a cult status across the pond. I've raved about the tinted lip hues-They are my absolute favorite ever-but I can't speak enough about their collection of lip treatments. The formulas are creamy, smooth and smell amazing. Try their Milk & Honey Lip Balm, available online, you won't regret your purchase but be warned you might end up taking a European excursion just to stock up on these addictive lip savers! Elemis Lip Revive is a petroleum free balm. It comes out looking a little gooey but isn't sticky at all and makes your lips supple and soft. Japanese wild mint and peppermint oils keep your breath fresh and lips tingling. A great addition to any makeup bag.